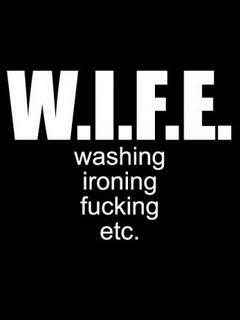 THE IDIOTS' BOARD: HOW DO YOU DEFINE WIFE? It entails both slavery and revolutionary thought. ...when WASHING and IRONING, they became slaves. Some women are getting adventurous too, men should always be extra-careful. Keep it up! Always be safe and never get pregnant again.